Want to get into law but didn't study a law degree? Find out how converting to law from a non-law degree works, as well as details on funding and the application process. What is a Graduate Diploma in Law (AKA the Law Conversion Course)? And what are the entry requirements? If you’re thinking of studying the Graduate Diploma in Law (GDL), this page will provide you with all the information you need before applying. Need some more help deciding if law is the right career for you? Take a look at our brand new page for Non-Law Students: Should You Convert to Law? The Graduate Diploma in Law (the GDL) (interchangeably referred to as the Common Professional Examination or CPE) is essentially a law conversion course. It is a fast-paced and intensive course intended for students who have graduated in a non-law degree subject wanting to convert to law and qualify as a solicitor or barrister. 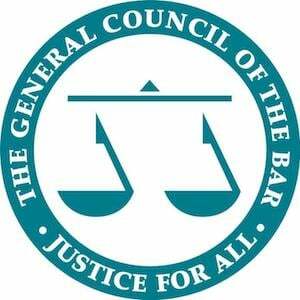 Bar Professional Training Course (BPTC) – for those wanting to practice as a barrister. To become a lawyer, you must complete the GDL if you have not completed a qualifying law degree. Should you convert to law? Take the quiz! What Subjects are Covered by the Graduate Diploma in Law? For daily tips and tricks on how to convert to law, join our Non-Law Students Facebook Help Group now! What is the Format of the Law Conversion Course? The exact format of the law conversion course will vary from provider to provider, but generally, the GDL is made up of a combination of lectures and tutorials spread over the week. It is not uncommon to have 14 contact hours per week on full-time courses, with significantly less on part-time courses. In addition to the allocated contact hours, you will be expected to spend 2-3 hours preparing for each tutorial you attend. Preparing thoroughly provides you with the best chance of success of the GDL! Want more tips on how to achieve the prestigious distinction? Read this blog post! To give you an idea of how the course may be structured, Izzy, in our GDL Case Study for BPP, said that her course was split into 2 lecture days and 2 tutorial days with one day off. A typical day at BPP involved two or three hours of lectures or tutorials, with the rest of the day being spent finishing tutorial prep in the library. The earliest start Izzy had was 9am and latest she would typically finish was around 6pm. What are the Benefits of the Law Conversion Course? Completing the GDL on the back of a non-law degree shows clear commitment and motivation for the study and practice of law. Which is better – a law degree or a conversion course? Read the full debate here and make your judgement! The Big Debate: Who Won? Most institutions will expect you to have completed a UK undergraduate degree (with a 2:2 as a minimum) or equivalent qualification. Note however that a large proportion of law firms and chambers will expect you to have gained a 2:1 at undergraduate degree level (unless extenuating circumstances exist). This, coupled with significant course fees, should be seriously considered when deciding to apply for the course. See a full list of GDL providers and their entry requirements with our GDL Comparison Table. Where Can I Study a Law Conversion Course? Take a look at GDL Course Comparison Table to find out more about where you can study and how much it is likely to cost. Usually you are free to decide where you wish to study. However, if you have already secured a training contract, your law firm may have an exclusive arrangement with a particular provider meaning that any choice is removed and you must complete the course there. Find out more on obtaining sponsorship from a law firm with our GDL Funding and GDL Costs page. What is the Application Process for the Graduate Diploma in Law? All full-time course applications must be submitted through a centralised system known as the Central Applications Board (CAB). Any subsequent offers will then come direct from the providers themselves. A registration fee of £18. Who will pay for the course. In addition, the application form requires you to include a GDL personal statement of up to 10,000 characters. Guidance on the CAB website suggests that you should try and keep your GDL personal statement as generic as possible, as it will be released to all the institutions you apply to. For further hints and tips on the content and structure of your law personal statement, click here. The CAB release applications to the various institutions on a rolling basis. Note that they will only release your applications to your chosen institutions on receipt of your form and fee, along with formal references from the referees nominated on your CAB application form. Tip: make sure that permission is requested from any elected referee prior to submission of the application form. Applications should be submitted for full-time courses during the final year of your undergraduate studies. There are no specific deadlines for applying for courses, although the Central Applications Board suggests making applications at your earliest convenience to limit the possible risk of not securing a place at your preferred institution. What’s the SQE and How Will it Affect the Graduate Diploma in Law? As at today’s date, to pursue a career as a solicitor, you will need to complete the GDL following a non-law degree (unless you undertake a law apprenticeship). However, following the Solicitors Regulation Authority’s (SRA’s) announcement on 25 April 2017, the way solicitors will train and qualify will change dramatically once their new Solicitors Qualifying Examination (SQE) takes effect. The SQE is set to be introduced from September 2020, which will mark the phasing out of the GDL. To find out more, click on the link: The Solicitors Qualifying Examination (SQE). Commitment and stamina, especially during the difficult patches. What’s it Like to Study the GDL? GDL Course Comparison Table – Compare GDL Providers!